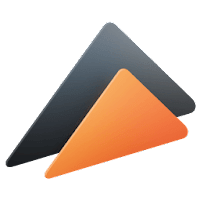 Elmedia Player is a powerful video player for Mac OS X that can play various audio and video formats - including FLV, SWF, WMV, AVI, MOV, MP4, MP3, DAT, FLAC, M4V, MPG, MKV and much more. No need for additional codecs, plugins – this app has everything you need for your files playback. Elmedia Player has a smooth HD experience, thanks to its hardware accelerated decoding, which significantly unloads the processor and helps to avoid video slowdown or troubles with sound sync, etc. Disclaimer: Direct downloads for the lastest version of Elmedia Player 7.2.1.1778 for Mac are provided by the official software's author, we can't guarantee safety, availability or download speed. Moreover, we don't and we won't provide any pirated/illegal versions or tools. We recommend you to avoid it as these methods can harm your device. If you like the software, buy it to support the developers. (We provide software discounts for many worldwide brands).